The 2018 World Cup is being lauded as one of the best in recent years and will be remembered for its excitement, drama and modern tactical execution. And it’s not just on the park where football is benefitting. In the boardroom too, player valuations are soaring thanks to outstanding performances, while sponsors are being rewarded for their investment. Nike is one of those major players. The manufacturing giant has reported a sales boost as a result of the World Cup after its teams and athletes excelled. In the final, where France beat Croatia 4-2, all players were wearing Nike kit for the first time ever and most of them were in Nike boots. 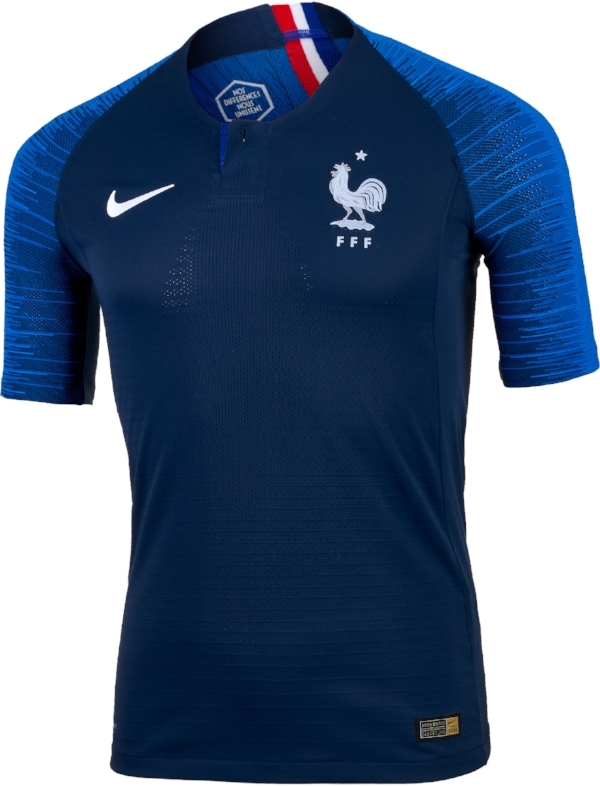 Following victory for Les Bleus, Bert Hoyt who manages Nike’s business in Europe, the Middle East and Africa, said demand for French team merchandising has been “very high.” Semi-finalists England, meanwhile, sold out almost everywhere for their warm-up jersey. Crucially all these figures suggest Nike are making up good ground in the race to catch Adidas in the football sponsorship market. Nike had 10 teams in Russia, two fewer than Adidas, but had three of the final four. Croatia’s Luka Modric won the player of the tournament, England’s Harry Kane the Golden Boot, France’s Kylian Mbappe best young player and Belgium’s Thibaut Courtois best goalkeeper – all sponsored by Nike. For the financial year that ended on May 31st, Nike posted rising revenue for soccer for the first time in four years. In the top five European leagues, three of its teams won the championship. Compare that to a year earlier when Adidas almost secured a clean sweep on Nike in European competitions. Four of the five league title winners, plus the Champions League and Europa League tournament champions wore the famous three stripes. Another part of Nike’s strategy is signing top athletes to shoe deals with the potential to shine on the biggest stages. While 44 percent of players wore Nike footwear at the 2010 World Cup in Germany, that jumped to 53 percent in Brazil 2014 and to 65 percent in Russia this year. Adidas isn’t giving up. While several of its top teams bowed out early, the company upheld a forecast given before the tournament that it would hit a record in jersey sales this year, beating the 8 million sold four years ago in Brazil. Older PostMarketing and PR - Do I need an Expert?